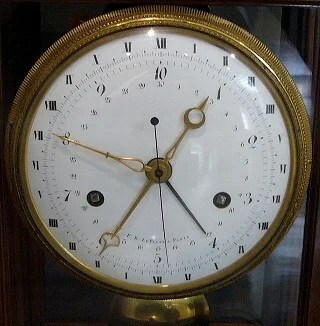 As a consequence of the French revolution, the French introduced the meter and the kilogram successfully, but failed to make decimal hours popular. Rebellions against tyrannies are exciting, at least in fiction: Luke Skywalker and buddies taking on the Empire, Katniss and Peeta standing up against Capitol, and so on. I, too, have written about the subject in the novel Ice War, which is loosely based on the European revolutions of 1848. However, carrying out such grand political schemes frequently have unforeseen consequences: for instance, the Frenchmen calling for tax reforms in 1789 could not imagine that their actions would lead to Napoleon, a military dictator, killing off much of Europe’s youth in a world-spanning set of wars merely one decade later. Once again, I have touched that subject in my fantasy roleplaying game Gondica and my novel Spiran och staven which takes place in the same world. There a popular revolt against an oppressive monarchy has drastic consequences that nobody predicted. After all, a violent revolution tends to devour its own activists; look at the fates of Danton, Robespierre, Trotsky, and marshal Tukhachevsky. This entry was posted in Academica, English and tagged Gondica, Iskriget, Spiran och staven, Star Wars by Gondica. Bookmark the permalink.